Check out who was just featured on Creative Party Place! Love that other's liked this party as much as I did! 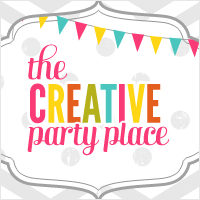 Thank you Creative Party Place for bringing party inspiration to others!